Why Alibaba Group Holding Ltd (BABA) Considers Amazon.com, Inc. (AMZN) and Microsoft Corporation (MSFT) its Friends? 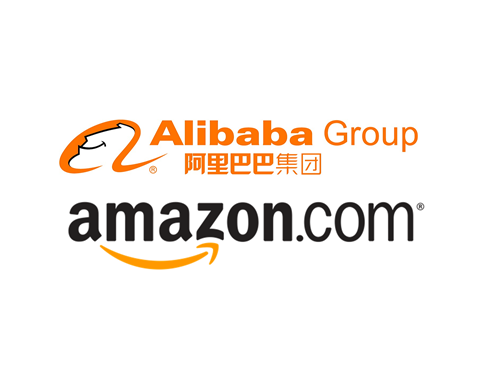 Alibaba Group Holding Ltd (NYSE:BABA) considers Amazon.com, Inc. (NASDAQ:AMZN) and Microsoft Corporation (NASDAQ:MSFT) as its friends in the cloud computing space, not rivals. A CNBC article reported on the news and discussed about the Chinese e-commerce giant taking Amazon.com, Inc. and Microsoft Corporation not as its competitors but friends in cloud computing market. “The public cloud business is growing exponentially. There is just huge room for everyone to grow. We are trying to position differently from our friends in this area. We would not call them competitors,” said Ethan Yu, the International Head of Alibaba’s Cloud Division, Aliyun. A top executive of the Chinese e-commerce giant told CNBC in an interview at tech trade fair CeBit, in Hanover, Germany that the company is trying to be different and unique from all others in the sector but it assumes them as fellows. According to Yu, there is much room to grow in the space for everyone and so there’s no need of competition or rivalry in the market between the parties. The remarks came only a few days after Alibaba Group Holding Ltd (NYSE:BABA) opened a data center in Silicon Valley, which is its first on U.S. territory, in a cloud market that is dominated by Google Inc (NASDAQ:GOOGL), Microsoft Corporation (NASDAQ:MSFT) and Amazon.com, Inc. (NASDAQ:AMZN). Alibaba Group Holding Ltd (NYSE:BABA)’s cloud computing business accounts for just one percent of the company’s total revenue, while having one data center in the U.S., four in China and one in Hong Kong. The Silicon Valley data center will not only enable Chinese companies to build a strong business base in the U.S. but it will also allow American firms to tap customers in the world’s second-largest economy. “The U.S. customer is one of the customers that we pay great attention to. The physical location of customers does not matter, what matters is where exactly our customers put their servers to service their own customers,” Yu said. Alibaba’s Aliyun cloud provides storage space service for companies and gives security against cyber attacks just like its competitors but according to Yu, Aliyun is different from others because of its ability to handle “big data”. Alibaba Group Holding Ltd (NYSE:BABA) told previously about its expansion of Aliyun into Southeast Asia and Europe but according to experts, it would be better for the company to further grow into the U.S rather than Asia and Europe. According to Jack Ma, Chief Executive Officer of Alibaba Group Holding Ltd (NYSE:BABA), they see their company as a worldwide player. The Alibaba Group Holding Ltd’s business expansion into the U.S. market is just a part of its broad business strategy and according to Yu, having room of growth for everyone in the cloud computing space, their company is not too aggressive to make Microsoft Corporation (NASDAQ:MSFT) and Amazon.com, Inc. (NASDAQ:AMZN) its rivals and so it recognizes them as friends.